Nicole Krauss fills our hearts with both laugh-out-loud humor and deep love that seeps unknowingly through the main character into so many other lives. The sadness that is lived through somehow creates hope; the hope breeds, once again, the memory of love. A really good, tender depiction of how the written word can once again bind us together. Leo Gursky taps his radiator each evening to let his upstairs neighbor know he's still alive. But it wasn t always like this: in the Polish village of his youth, he fell in love and wrote a book. . . . Sixty years later and half a world away, fourteen-year-old Alma, who was named after a character in that book, undertakes an adventure to find her namesake and save her family. 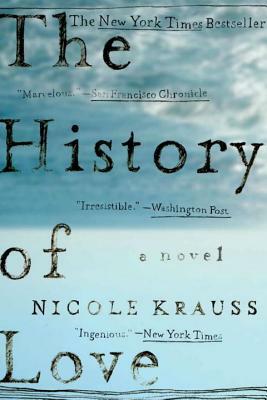 With virtuosic skill and soaring imaginative power, Nicole Krauss gradually draws these stories together toward a climax of extraordinary depth and beauty (Newsday).